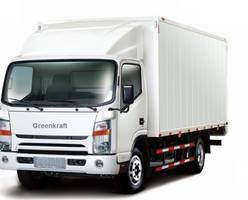 Provides onsite mobile document destruction in a secure manner. Includes payload, back up and shredder compartment camera. 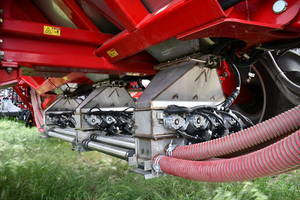 Have length 28’ 6-13/16”, height 12’ 3-1/16” and width 8’ 1/2”. 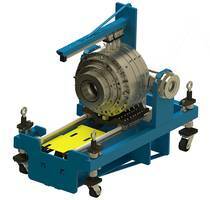 The Big Grizzly Rotator Cart is designed for material handling and scrap recycling applications. 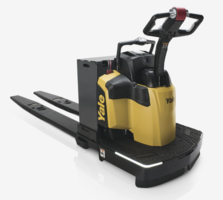 The unit features a steel base and rubber casters that are bolted through steel. 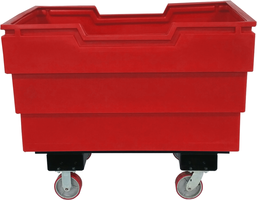 The cart comes in 49.5 x 30.5 x 38.25 in. 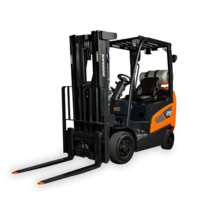 (L x D x H) dimensions and is engineered to be lifted and dumped using a rotating forklift. 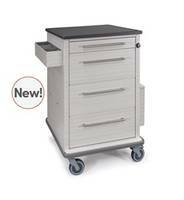 The Vintage Encore Medication Carts are offered with woodgrain and work surface color options. 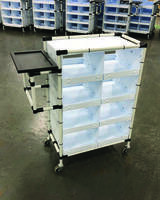 The unit accommodates punch card, automated packaging, dispill and unit dose box medication delivery system. The carts are available in sizes suitable for small to large resident populations.